Me and Meyerasaurus victor, a plesiosaur I named in the Museum am Löwentor (part of the Stuttgart State Museum of Natural History, Germany), July 2014. I am a palaeontologist whose research focuses on the anatomy and evolution of Mesozoic marine reptiles, particularly plesiosaurs and ichthyosaurs. In 2003 I completed an MSc project at the University of Bristol dedicated to plesiosaur phylogeny and in 2007 I completed a PhD at the National University of Ireland investigating the anatomy and relationships of rhomaleosaurid plesiosaurs. 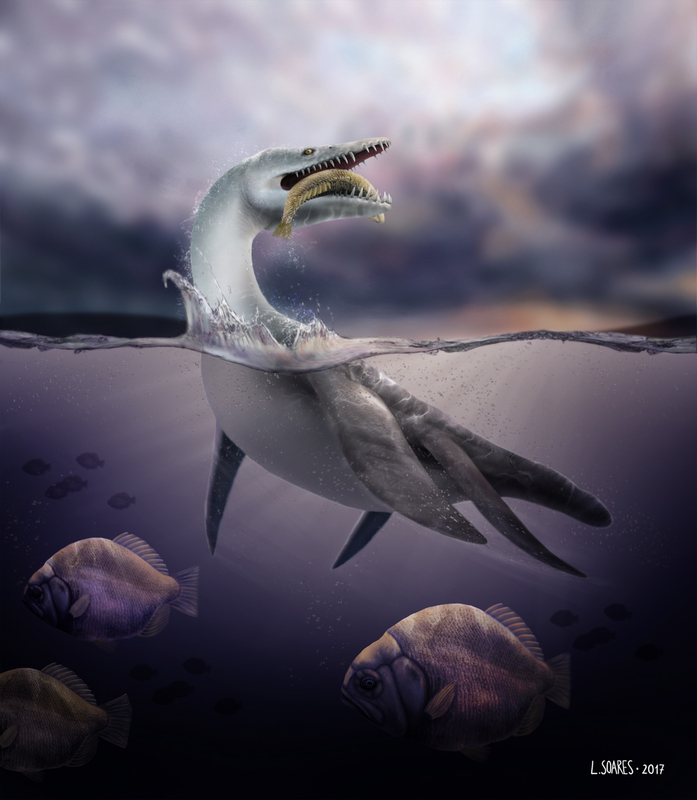 This led to a variety of research projects on fossil marine reptiles from the Pliensbachian of Denmark, Toarcian of Portugal, Kimmeridgian of Greenland and the UK, and Lower Jurassic of the UK. 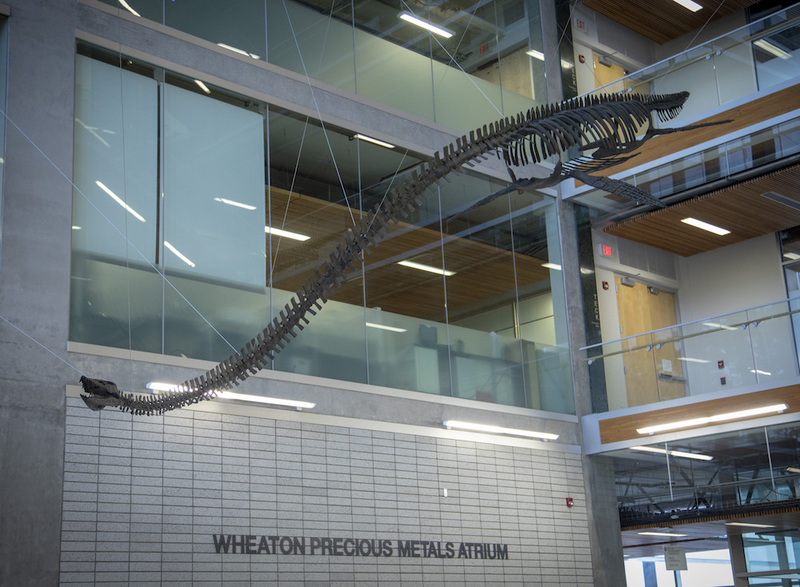 I’ve published more than twenty technical articles and have co-named several new species, including the plesiosaurs Meyerasaurus (Smith and Vincent, 2010), Lusonectes (Smith et al. 2012), three species of Pliosaurus (P. kevani, P. westburyensis, and P. carpenteri) (Benson et al. 2013), Atychodracon (Smith, 2015), and Thaumatodracon (Smith and Araújo, 2017), and the crocodylomorph Lemmysuchus (Johnson et al. 2017). See my publications page for a full list of my peer-reviewed papers and other articles. I’m currently working on descriptions of several plesiosaur specimens housed in British collections. All of my peer reviewed papers, popular articles, books, theses, and conference abstracts, are listed on my publications page. I have made PDFs available to download there where possible. I have spoken at regional groups and events including the Shropshire Geological Society, Black Country Geological Group, Dudley Rock and Fossil Festival, Belfast Geologist’s Society, Warwickshire Geological Conservation Group, Nottingham Skeptics in the Pub, Nottingham Café Scientifique, and the East Midlands Geological Society. I have also given presentations at the University of Bristol; Geologisk Museum, Copenhagen; Swedish Museum of Natural History, Stockholm; Trinity College, Dublin; University College Dublin; and GEAL Museu, Lourinha, Portugal. I was a guest on the sceptical podcast MonsterTalk to discuss plesiosaurs and Nessie (download the plesiosaur episode in mp3 format here). 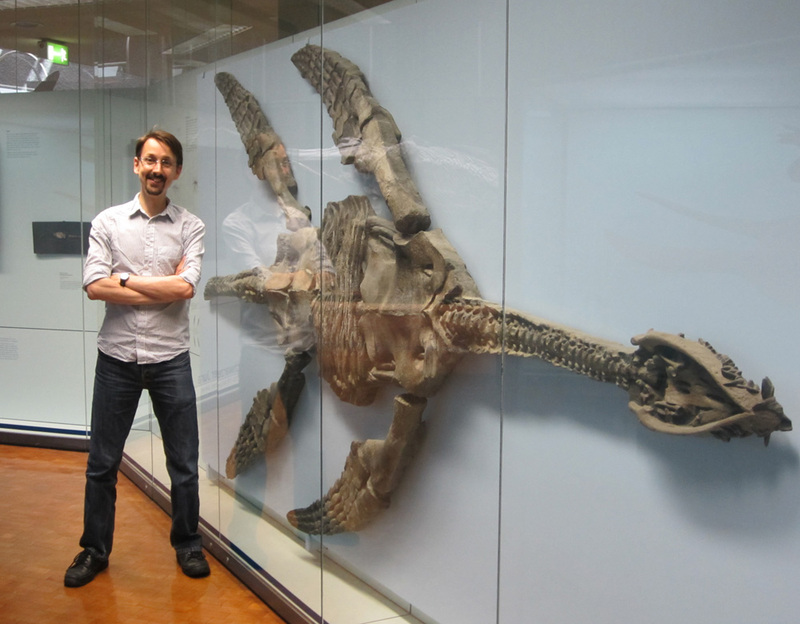 I’m available as a consultant for projects about marine reptiles, dinosaurs, and palaeontology in general. I have provided input into the BBC series Planet Dinosaur; assisted the toy company Safari Ltd with several recent figures in their Wild Safari line (Amargasaurus, Anzu, Liopleurodon, Elasmosaurus, Plesiosuchus, Tylosaurus, Kronosaurus, Diplodocus, Malawisaurus, Microraptor, Giganotosaurus, Quetzalcoatlus; and helped design a virtual plesiosaur for a joint project between the Natural History Museum, London, and Google. My restorations of dinosaurs and other prehistoric animals have been featured in magazine articles, books and museum exhibits. I just wish I had more time to dedicate to palaeo-art find out more. I was born and raised in Coventry, UK. 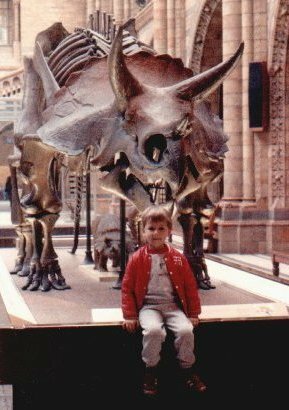 My passion for prehistoric animals and fossils began at an early age and eventually led me to university, where I completed a BSc in Palaeobiology and Evolution (Portsmouth), an MSc in Palaeobiology (Bristol), and a PhD on plesiosaurs (UCD, Dublin). I’ve participated in palaeontological excavations in Montana and Portugal. In addition to The Plesiosaur Directory, I also manage the Dinosaur Toy Blog and Forum and the Animal Toy Forum, and I generate content for the Dinotoyblog Youtube channel. 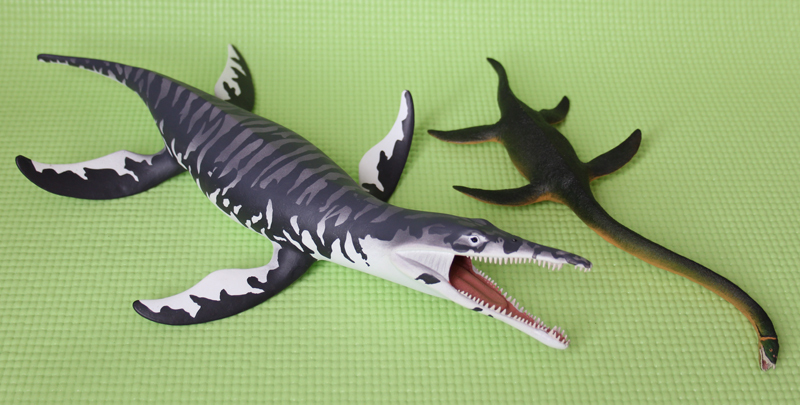 You can follow my plesiosaur and other ramblings on Twitter. Curator of Natural Sciences, Nottingham Natural History Museum, Wollaton Hall. (Aug. 2012 – present). A wide variety of curatorial duties. Digitisation Technician, British Geological Survey (May 2012 – Aug. 2012). 3D scanning and photographing fossils. Natural Science Curator, Thinktank, Birmingham Science Museum (Aug. 2010 – Dec. 2011). Various collection and exhibition duties. Documentation Assistant, Natural History Divison, National Museum of Ireland (March 2009 – Aug. 2010). Part of a team dedicated to documenting and databasing the Natural History collections. Object Researcher, Natural Science, Thinktank, Birmingham Science Museum. (Feb 2009 – March 2009). Education and Curatorial Assistant, Geoschol Project, Trinity College, Dublin. (October 2007 – Feb 2009). Production of earth science material for Irish schools – posters, leaflets, an activity book, museum exhibits and a website. Web content research assistant, University of Bristol, in conjunction with the BBC, Open University, and the Natural History Museum, London. Collecting information and producing content for a website to accompany the BBC series, British Isles: A Natural History. (April 2004 – January 2005).